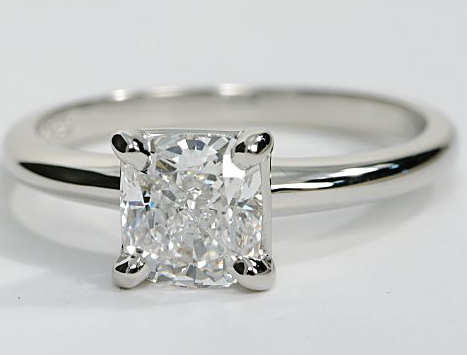 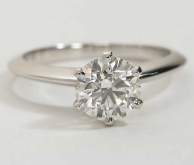 Simple and elegant, this solitaire engagement ring in platinum allows your diamond to take center stage. 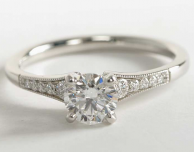 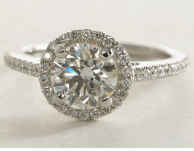 The four prong setting lets more of your center diamond’s brilliance to shine through to please the eye. 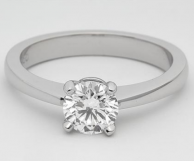 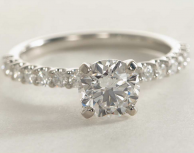 You can choose a round, princess, cushion, Asscher, emerald, oval, or radiant cut diamond.